When we visit our clients homes, we always advise on general electrical safety. It is part of our service and commitment to make homes in and around Hertfordshire electrically safer. One recommendation we always give to our clients is to have an RCD fitted in their home if they do not already have one in place. RCD stands for Residual Current Device and is fitted as standard to all new consumer unit (fuse box) installations. It is a sensitive switching device that quickly turns off electricity when danger arises to reduce the risk of death or serious injury. The electricity is turned off in a fraction of a second and is far quicker and reliable than breakers and fuses. 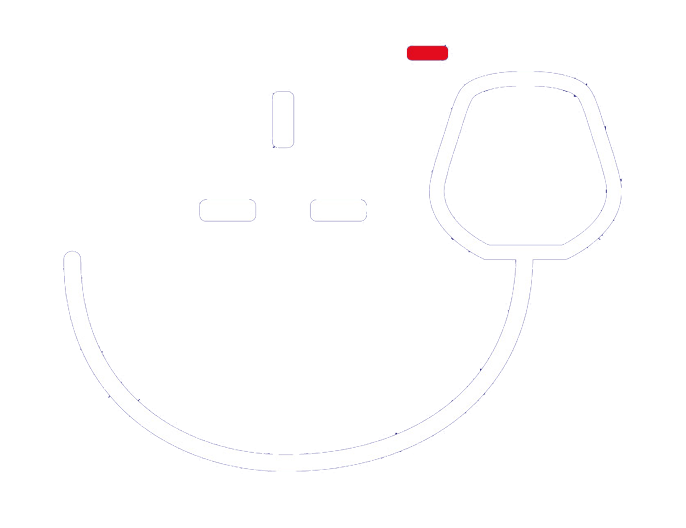 An RCD activates if you accidentally touch a live cable which could one day save your life. Electricity is not something we think about on a daily basis, particularly if we believe that everything is OK. It is easy to become complacent and that is where the job of the RCD comes in to play. We can all make a simple error, but don’t let it cost you your life. Why is an RCD so important? RCD protection is a ground breaking development and has been responsible for saving many lives and preventing serious injuries. However, there is still more to be done as there are many homes in the UK which are still without any form of RCD protection. Clearly more needs to be done to inform householders on the dangers of electricity! Our recommendation from us here at Fulcher Edwards is to have an EICR carried out in your home by an electrical contractor in your area. Following the electrician carrying out a thorough investigation on the condition of your home electrical installation, you will receive a report and recommendations which will keep your home in optimum electrical safety. If you currently have no RCD protection, this will form one of the recommendations in the report. 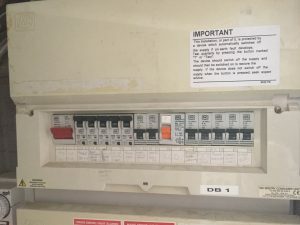 Remember that RCD protection must be installed by a domestic electrician who will ensure that the new consumer unit is fitted safely and correctly and the RCD is working as it should be. The RCD in the above photo is from a house in St Albans which we carried out works on. This RCD in particular protects all of the small power circuits in the kitchen and office area plus the electric underfloor heating, which is required by the 17th edition of regulation to have additional protection provided by RCD. The information notice is also a requirement to make the occupiers aware that RCDs should be tested quarterly and also provides instruction on how to test the device. If you are looking at lower cost ways to keep safe, you may like to consider plug in RCD protection. Plug in RCD protection costs as little as £10 on the High Street and the advantage of plug in RCDs are that you can plug in any type of electrical appliance anywhere in your home due to its portable nature. Commonly they are used in the garden to power appliances such as lawn mowers and hedge trimmers. This is because there is a higher chance of an accident occurring – you could accidentally cut through the cable. It is worth bearing in mind that plug in RCD protectors only protect the appliance and the person using it. 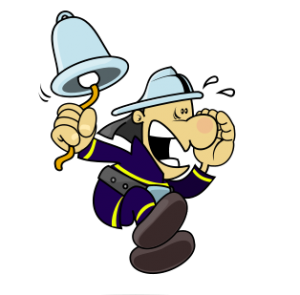 Lastly, simply carrying out your own visual check of your electrics and appliances can be a life saver. Don’t use any appliances, lights or switches that are faulty or have visible damage such as bare cable showing, cracks, breaks or other damage. Taking a few minutes on a regular basis can really be the difference between life and death. Electrical DIY remains a big danger in the UK with electricity killing and injuring 1000’s of people each year Many people die needlessly by taking dangerous risks with electricity which could have been dealt with safely by a qualified and registered electrician. Electrical DIY by it’s very name can mean anything from changing a socket to bigger, riskier jobs such as rewiring parts of your home. Most electrical work in your home is subject to Part P regulations which means that it is illegal to carry out work in your home without being Part P registered. As a general rule, you can carry out basic electrical jobs like changing your plug sockets for like for like, however if you are considering electrical work in your home, we recommend that you do not attempt the work yourself. Here at Fulcher Edwards we see every week the problems that DIY work causes. 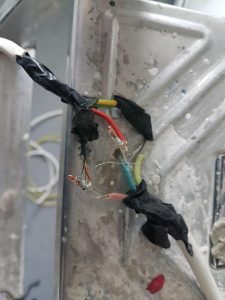 Even a simple job can cause damage to the wiring within your home which would lead to expensive repair work and this alone could become more costly than a qualified and registered electrician doing the job in the first place! DIY electrical work worries us for several reasons. Firstly it’s the safety aspect. 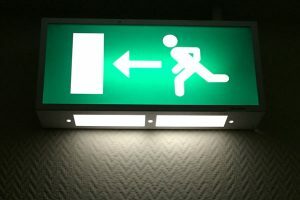 Many people assume that just because the lights are working that everything must be ok. In many cases this is not the case. Electrical fire is currently the biggest cause of house fires in the UK, and in many cases it is bad electrics that are the cause. DIY electrical work is often blamed for these fires because of the way the fires begin. A common cause of electrical fire is the overheating of cable where the wrong sized cable has been used. Cable has also been positioned incorrectly and the heat from it can cause fire in lofts, joists and inside walls. The other concern is the lack of testing that takes place beforehand. Work carried out by an electrician is tested to ensure it is safe before it is switched on. There is no way of knowing if DIY electrical work is safe. DIY or bad electrical work doesn’t always kill you instantly either. It can be a number of years before the result of bad electrics catches up with you, and the fact of the matter is you don’t know when that will be. Are you worried about DIY electrical work you have done? The first thing to know is you are not alone and we won’t preach to you about how dangerous it is! As electricians in Hertfordshire we rectify DIY jobs on a daily basis and ensure your property is left electrically safe. Of course it can be difficult to know exactly what you have done electrically over the years, so a good starting point is for a qualified and registered electrician to come and carry out an Electrical Installation Condition Report (EICR) which will identify any areas in your home which are an electrical risk. As a householder, you will then be making an informed decision about repairing DIY electrical work. Stop working immediately and contact a qualified and registered electrician. It is better to do this sooner rather than later as electrical damage can be costly to repair if it is badly damaged. Never attempt to make ‘bodge’ repairs just to get the lights back on. This will leave you and your family at risk of electrical fire, injury or worse. An electrician will inspect the work, and carry out the necessary remedial works to ensure your home is electrically safe.